Matthew Campbell has written many books on software development including Objective-C Recipes with Apress, How to Build an App, Beginning Objective-C Programming and How to Make an iPhone App. 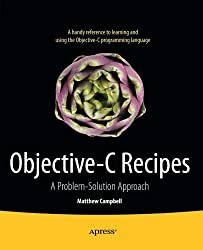 Currently, Matt is working on another book with Apress named Objective-C Syntax Quick Reference. All of Matt's books are based on Matt's experience teaching hundreds of developers iOS. Matt is also the lead developer for the Tasting Notes iOS application and founder of Mobile App Mastery, which trains software developers. Prior to founding Mobile App Mastery, Matt worked for the Educational Testing Service as a data analyst where he used SAS and .NET to help with scientific research.